Jerusalem, Israel—April 30, 2015. Ex Libris is pleased to announce that it has expanded its product portfolio by acquiring oMbiel, a leading UK-based SaaS Platform provider of mobile and portal solutions for higher education. campusM™, oMbiel’s flagship product, enables educational institutions to deliver services and information to prospective, enrolled, and graduating students, as well as other campus audiences, through a high-quality user experience. Mobile access to information and services as provided by campusM is now a basic expectation of users, particularly the new generation of mobile-first students. campusM offers users a unified digital experience delivered through native apps and web portals that span a range of academic, administrative, and social activities on campus, such as course schedules, grades, campus maps, library services, and information about campus events. Already deployed at numerous universities in the UK and around the world, campusM enhances the overall campus experience for the academic community and helps subscribing institutions stay competitive with peer institutions. 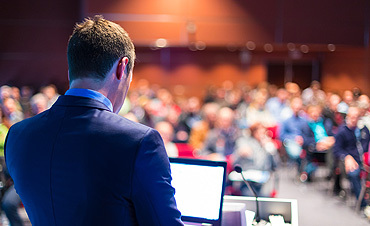 campusM can be integrated with local services and enterprise systems, including learning management systems, student information systems, and library systems. Using the flexible, built-in tools of campusM, schools can extend and localize apps to increase student engagement. Customers include London School of Economics and Political Science, the University of Sheffield, and Imperial College London (all in the UK), University of Canberra (Aus), University of Sheffield (UK), University of Cape Town (SA), Imperial College London (UK), HEC Paris (France), and Queensborough Community College (USA). Ex Libris, with its history of innovation and leadership, a large customer base of over 5,500 institutions worldwide, and its robust cloud infrastructure and operations, is well positioned to leverage and extend the oMbiel mobile technology to provide comprehensive, innovative services to the higher-education community and its libraries. The synergy between Ex Libris and oMbiel and their technologies will bring added benefits to the development of the combined companies’ products and presents new opportunities for Ex Libris to extend its business beyond the library in higher education. Ex Libris and oMbiel customers with further questions are welcome to read the FAQ. oMbiel is a UK-based provider of mobile and portal solutions. Its flagship SaaS platform, campusM, is the market leader in the UK university sector and customers include UCL, the London School of Economics and Political Science, King’s College London, Imperial College London, and Lancaster University. campusM is also in use at a number of institutions in continental Europe, North America, Australia, and South Africa. Ex Libris is a leading provider of automation solutions for academic, national, and research libraries. 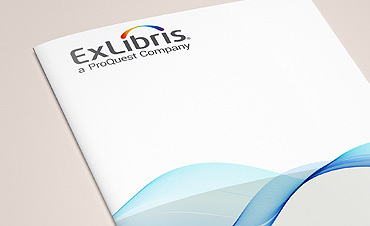 Offering the only comprehensive product suite for electronic, digital, and print materials, Ex Libris provides efficient, user-friendly products that serve the needs of libraries today and will facilitate their transition into the future. Ex Libris maintains an impressive customer base consisting of thousands of sites in more than 90 countries on six continents. Dedicated to developing creative solutions in close collaboration with customers, Ex Libris enables libraries to maximize productivity and efficiency and, at the same time, greatly enhance the user experience. By empowering users to discover and obtain the information they need, libraries ensure their position as the bridge to knowledge. For more information about Ex Libris Group, see our website, and join us on Facebook, YouTube, LinkedIn, and Twitter.